'I'm back! We moved a lot of my paper crafting supplies to our new home. I am anxious to get started. I have joined several swaps and have made my items for most (non-profile specific) Don't know if I was missed but I sure missed you all! Just a quick note, we recently moved, and I was not able to bring my craft room with me. It will be a few months before I am able to swap again. I miss swap-bot! I am still having fun with Swap-bot. Completed almost 200 swaps now, and going strong. And I am inspired to make more homemade gifts and cards this year. I spent an entire day, 10 am to 5 pm at a scrap and rubber stamp show in Madison Wisconsin a couple of weeks ago. Bought a ton of stuff (duh) and learned lots of new techniques. Can't wait to try them all. Fun fun fun! My current favorite shows are Project Runway, The Office, Jeopardy. I also like most everything on the Food Network, except Emeril and Paula Dean. lots of History and TLC programs, and the mystery shows on PBS. Update...we just got the Hallmark channel, but I try to limit myself. I refuse to watch any of the new shows that look good in the promos...I love crafting and don't want to be addicted to more tv, and have less time for creativity... Well, now I am hooked on Project Runway. Darn it! I smell my food before eating it. Including fruit and coffee. I cut my food into even sized pieces. i "stand" for 10 minutes most afternoons. Just stand. My daughter says it creeps her out, but it is just something I do. I will add to this as my friends and family remind me... Well, they reminded me. I am sort of a busy body. Nothing malicious, I don't gossip (much) but I live to match make. I wash my hands, a lot, and go nuts if I touch something "used" at a thrift shop and cannot get to water. I carry purel, wet wipes, and a spray on sanitizer everywhere I go. I also keep a set in each car. I talk to the tv, the cats, the appliances, and anything and everything whether it listens or not. I tend to see the silver lining, especially when no one else wants to! I love to collect stuff! My current passions are angels, devotional books, cool kids books whose pages can be used for altering, vintage junk jewelry--for altered art, and sometimes to wear! I love to wear broaches for each holiday. I cannot leave a thrift shop without checking out the books and magazines. I rarely (ok, never) leave empty handed. I have a lot of fruit and veggie shaped dishes in my kitchen, also fruit and veggie art. Much of it created by me and my daughters. I can get lost in the songs of birds, crows are one of my favorite species. They are such clowns. I love to watch them and laugh along. I love the sound of the ocean, squirrels chirping, cats purring, woodpeckers at work, and rain. Almost sounds like an old country song... I love living in the country, knowing most of the community, and being known by others. It is a good and a bad thing to be known by everyone. Cannot get away with anything, yet also, people "have your back." Oops, back to nature. I love walking barefoot in the grass, on sand, and in the water. Cool running creeks bring me great joy. other than chocolate, my passion, I love coffee, mocha, shortbread cookies, light flavored cakes, scones, soups, and fancy desserts. I also love nut crusted fish. Any kind of nut, any kind of fish. Recipes are always welcome. Comment: Thank you so much. An time really does fly!! Comment: Thank you for the cute butterfly atc, Audrey! So glad you are feeling better! Really cute card, too! Comment: Thank You, Merry Swapping! Comment: Thanks so much for the sweet ATC, your lovely Fall card and all of the special goodies you enclosed. Response: You are welcome1 glad you like. thanks for the heart! Comment: These are beautiful! This was my first ATC swap. I will learn from these and get better. If you have any tips...please share!! Thank you for the swap! Response: I'm trying to learn to quill....I bought a kit with paper, a book, a tool, and some glue. Thanks for the compliment. It's fun, but not as easy as my mom's friend makes it look! Note card came from our England vacation! Comment: Thank you so much for the second flip book you sent, It was lovely and so was the goodies :) I'm sorry that the first one was lost in the mail, IF it shows up in the mail, I will let you know. Comment: I was just wondering yesterday what the real colors of a peacock tail feather are. Now I know! Comment: Thanks for the "M' ATC & the extras. Comment: Thanks for your wonderful creations. I appreciate everything. Comment: Thank you so much for the lovely butterfly atc! I like the quote you used. I hope your mother feels better. Hugs! Response: Mom has shown improvement only God could give! She should be home within a few days! Thanks. Comment: Thank you for the nice assortment. I like how you put them on the card. Hope things are going well for you. It has been more than a month since I mailed out the flip book to you for the Beginner Flip Book #2 - Int'l Swap. Could you confirm if you've received it? Thank you! Happy Birthday from the USAPC group!! LOL, you have to wash after you touch used things at the thrift store! ME TOO! Ick, you just never know, right? Thank you for the wonderful holiday card and sweet note! Snail mail makes the season bright. Swap-bot is lucky to have members like you. Happy holidays and happy swapping!! You're invited! 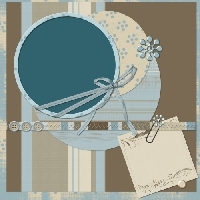 Come join us for some awesome Scrapbooking!